Bahrain’s leading real estate and property development event will be held under the patronage of HRH Prince Khalifa Bin Salman Al Khalifa, Prime Minister of the Kingdom of Bahrain from 23– 25 April at the Bahrain International Exhibition Centre. 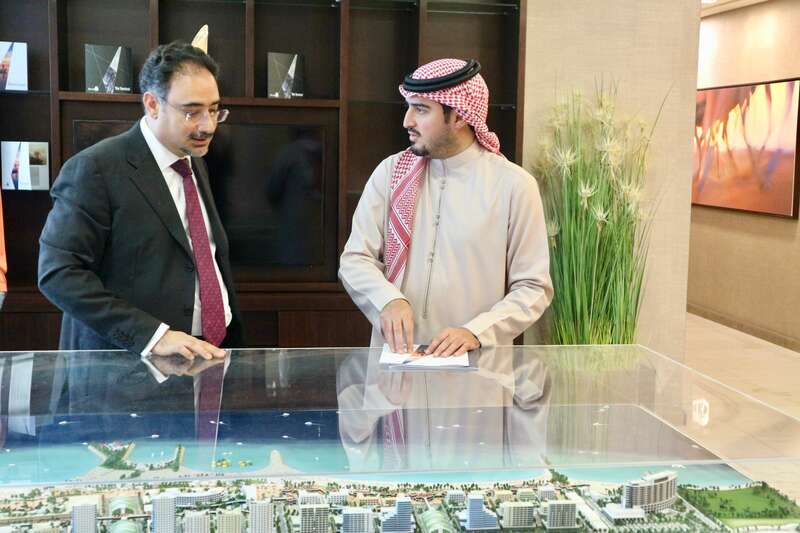 The Bilaj Al Jazayer beach development is an exciting venture for Bahrain as an island tourist destination. The beach development will offer high quality public beaches with pedestrian walkways and a leisure outlets for retail and F&B. The Sa’ada project has been designed to be a fully accessible public waterfront development with shaded terraces enhanced by convenient parking. Several of the buildings will be leased to house a variety of outlets for food and beverage, kiosks, open event spaces and a multi-storey carpark that will be linked by a pedestrian bridge to the Muharraq Souq, creating a family atmosphere to explore and enjoy the culture and values of the Muharraq area. Jubran Abdulrahman, HCE Managing Director commenting on Edamah’s participation at Gulf property Show: “We are honoured to have Edamah’s debut at Gulf Property Show as Strategic Sponsors. Their projects are a statement of the company’s dedication to serving the Bahrain community and contributing to the Kingdom’s growing popularity as the tourist and investment destination in the GCC. The Gulf Property Show also carries with it the strategic organizational support of the Real Estate Regulatory Authority of Bahrain (RERA), Survey and Land Regulatory Bureau (SLRB) Urban Planning and Development Authority of Bahrain, and Bahrain Property Developers Association (BaPDA).